jump in a plane right after I am leaving Germany. 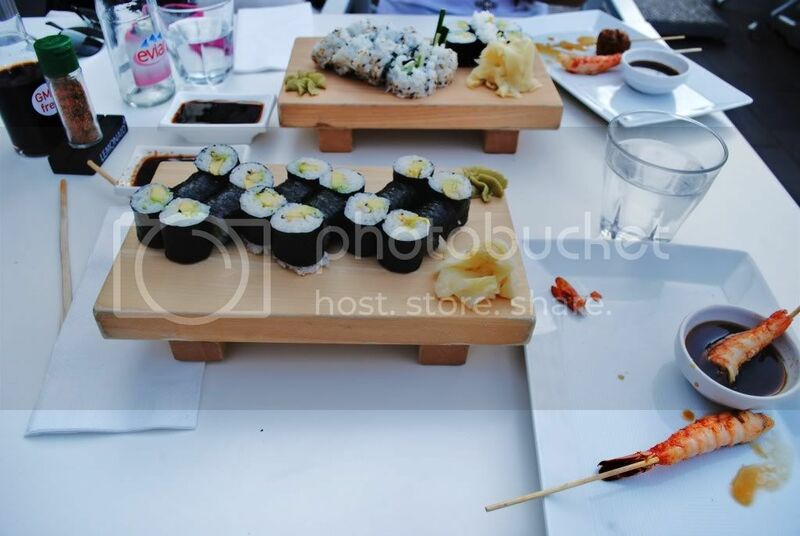 We spend some great hours in the bright sun with a caramel frappuccino and some sushi. That makes our heart smiling... Hope you had a perfect day, as well. Love this outfit. That necklace is divine. I passed on the Versatile Blogger Award to You. Check it out! love your sweater and mmmm i love sushi! You look great in this outfit! Now following here and on Twitter! Gorgeous Julia. Very springtime appropriate! You're such an inspiration. :) hihihihi thank you for my special place at the end of the post!